EdgeLab s.r.l. is an SME working in the field of underwater robotics, of the technologies of sea ​​and sensors. The company was founded in 2010 and has been active since August 2011. It has been enrolled in the special section of the Chamber of Commerce as an innovative startup company until December 2015. Born as a spinoff of two research projects on development of underwater and submarine robotics technologies and artificial vision applied to underwater archaeology, funded by R&D grants and private investments, involved in design and manufacturing of customized prototypes for Academic Institutes and Research organizations, the company is now starting a series production of a new generation of autonomous underwater vehicles for marine research. In 2015 Edgelab moved to her Operational Unit in La Spezia, joining the DLTM-Ligurian District of Marine Technologies. 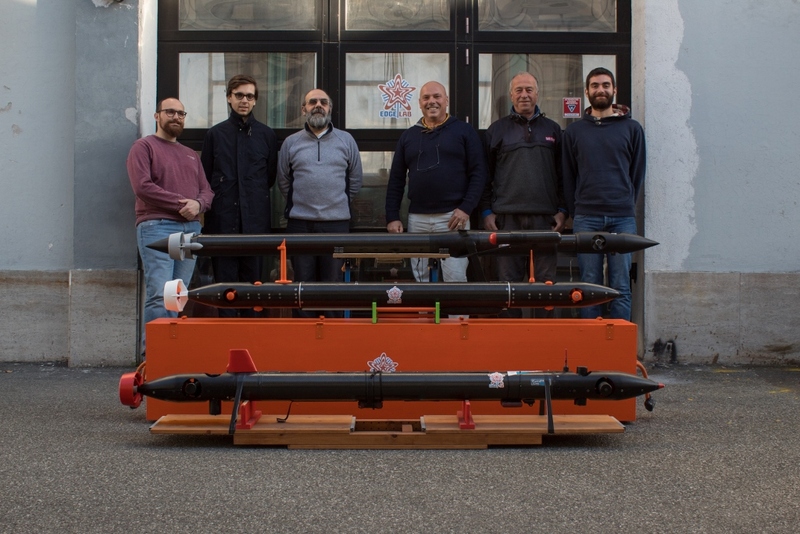 A company managed by a team of sea technology lovers, concerned about protection of biodiversity and fascinated since ever by the inscrutability of the deep oceans, the last unknown frontier on the Earth. Sea readings, sailing, technical diving, along with a solid past experience in STEM disciplines and R&D: this is the background pushing Edgelab's team in the daily challenge of reducing the knowledge gap in ocean discovery, looking for newer paradigms and technological solutions for easier and affordable sea explorations. -POR-FESR Project 2007-2013 Action 1.2.2: "OBSERVATIVE MODULE FOR GEOTHERMAL AREAS (MOSSAG) "